October 2014 'Op Missie' was published by Strip 2000. The book contains 10 stories made by 10 authors about War-veterans on a mission. 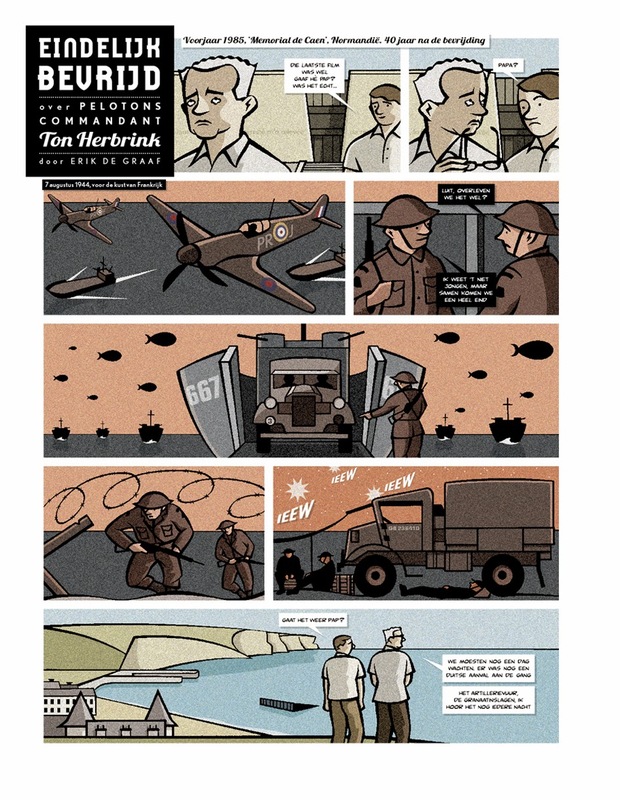 I was one of the participants and made a story about Ton Herbrink. A 96 year old veteran who fought together with the Allied Forces against the Germans and helped to liberate Holland as a commander of the Prinses Irene Brigade. He never spoke about his war experiences until he visited Nromandy, 40 years later. So my story starts there and is called 'Eindelijk Bevrijd' ("Liberated at last'). 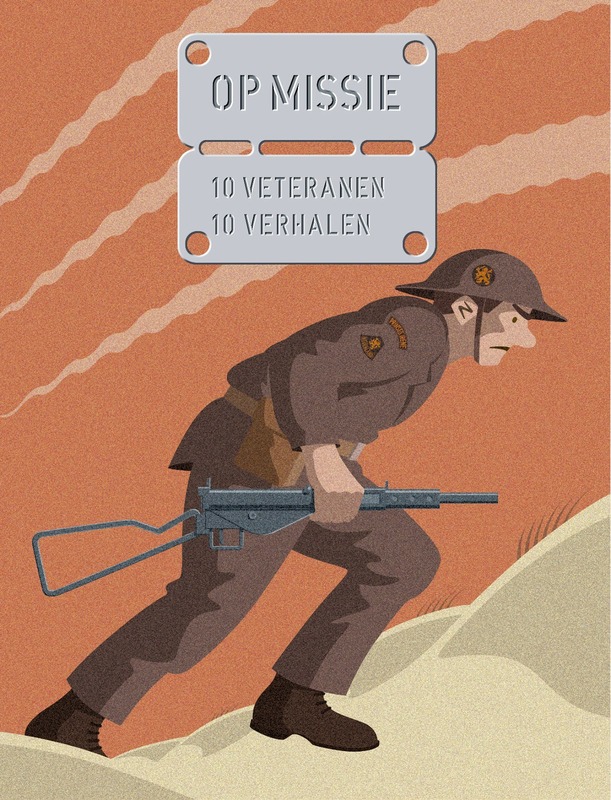 Every artist also has drawn his own cover, so 10 stories about 10 war-veterans made by 10 authors in a book with 10 different covers: 'Op Missie'. Currently I'm working on a special limited edition, a Leporello, with my story, extra drawings and signed and numbered. More about it soon.